Let’s create awesome node.js programs with us. If you think you are the best node.js programmer in town, you’re welcome to be on board. A leading mobile apps development company in Indonesia needs you! Male/female, 40 years old maximum. We don’t need a Superman, we just need you to be good in node.js development. Whether you’re node.js developer guru or just early learner, just give it a shot anyway. Please send your job application and CV to: office@dycode.com, hrd@dycode.com and use the subject “Web Developer”. Let’s create awesome Android apps with us. If you think you are the best Android coder in town, you’re welcome to be on board. A leading mobile apps development company in Indonesia needs you! Experience in creating Android background services. We don’t need a Superman, we just need you to be good in Android app development. Whether you’re Android developer guru or just early learner, just give it a shot anyway. Please send your job application and CV to: office@dycode.com, hrd@dycode.com and use the subject “Android Coder”. Will work in Bandung, and will not work on-site at client/end users. Internship, part timer and/or freelancer are welcome. Apple iOS is fenomenal around the world. Yet, there’re still few companies focussing to develop iOS apps in Indonesia. 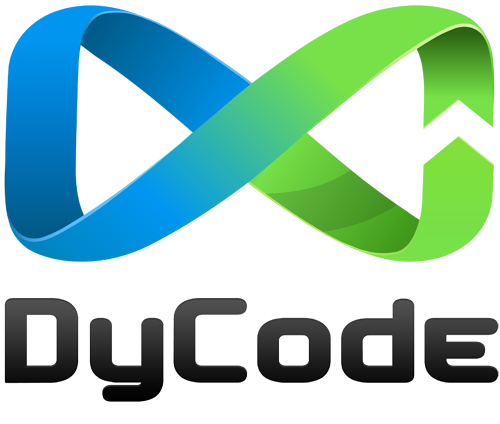 DyCode is one of few Indonesia companies that’s major in iOS apps development. If you wanna create awesome iOS apps? You come to a right place. Experience in most used iOS SDK frameworks, at least: UIKit, CoreData, CoreAnimation, CoreGraphics, CoreLocation and MapKit, Block and multi-threading. Experience in using 3rd party frameworks/libraries, especially: for HTTP connection and JSON/XML web services, UI controls and animations. Whether you’re iOS developer guru or just early learner, just give it a shot anyway. Please send your CV to: hrd at dycode dot com and use the subject “iOS Coder”.